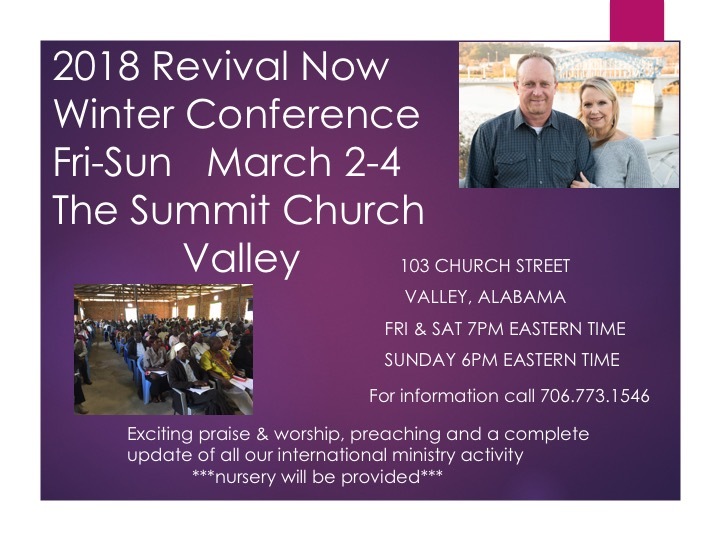 Join us in Valley, Alabama for the 2018 Revival Now Winter Conference, Friday - Sunday March 2-4, 2018 hosted this year at The Summit Church in Valley Alabama (across from Sue’s Chick). We will have some great praise & worship, extended times of prayer ministry as well as an update of all our international activities. For more information contact us at 706.773.1435.